Limited supplies for this free shipping to 48 states offer! 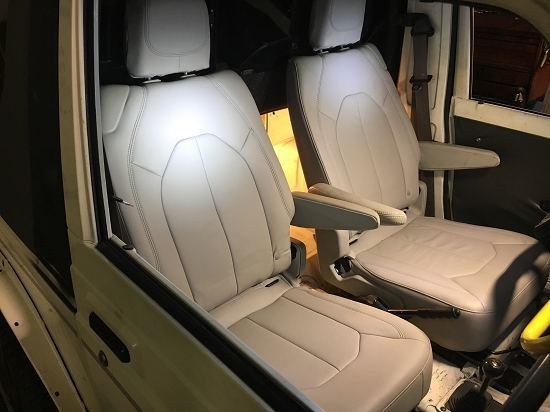 These brand new seats removed from 2017 Chrysler PACIFICA mini van conversions are perfect for the Samurai. 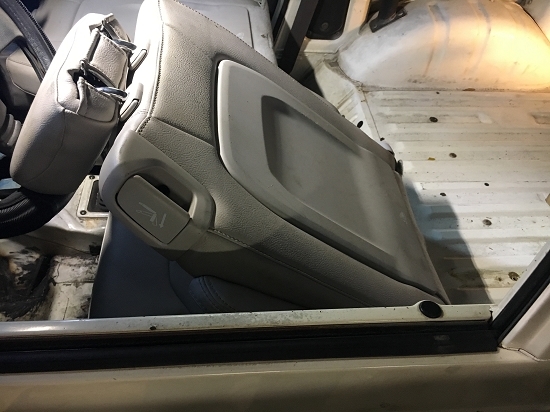 You simply unbolt your samurai seats from the sliders and bolt on these seats. Driver and Passenger matched set. That is one PAIR/TWO SEATS FOR THIS PRICE. Optional fabric and colors. The term "Leather" means some leather somewhere in the seat and the rest leatherette. For sake of argument these seats retail for over $1,000 each if you had to replace one. Middle armrests do touch while completely usable. 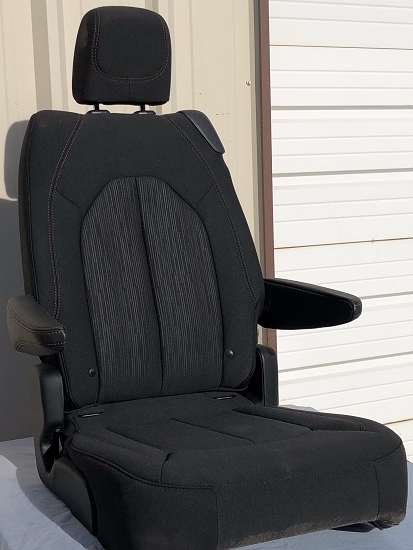 Outer armrests fit the doors nicely. 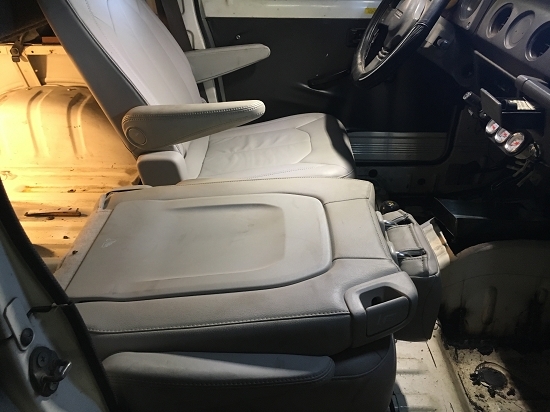 Passenger side folds up by touching one lever for easy entry to rear compartment. Tuffy box fitment unknown at this time. Possibility factor 80% it fits. Includes the custom made ZOR seat adapters unlike anything we ever made before. Less than a 30 minute per side install if your sliders work. Hardware included. AT THIS TIME THERE IS ONLY ONE METHOD OF INSTALLATION INTO THE SUZUKI SAMURAI. YOU MUST HAVE WORKING SAMURAI SLIDERS. IF you purchase these and do not have functional Samurai sliders they will not be an easy install. All Sales Final.